Do you wake up half dead? May be due to high blood sugar. Abstract:If you wake up half-dead with no energy then this is a perfect article for you.Diabetes is one of the culprit and how to make changes is discussed.Dawn phenomenon,flight response,growth hormones,stress hormones and medications guide us to take a new look. What is Dawn Phenomenon and how to control it? When we get up in the morning various hormones make our body to get up nicely. Between 4:00 and 6:30 a.m. it secretes cortisol, epinephrine, and norepinephrin. These hormones are produced in greater amount at dawn than at night. They control many body functions including glucose metabolism,regulating blood pressure etc. You may recognize these as the hormones involved in the “fight or flight response.” The fight-or-flight response, also known as the acute stress response, refers to a physiological reaction that occurs in the presence of something that is terrifying, either mentally or physically. The fight-or-flight response was first described in the 1920s by American physiologist Walter Cannon. Cannon realized that a chain of rapidly occurring reactions inside the body help mobilize the body’s resources to deal with threatening circumstances. In this case, their job is more, to give you the energy to get up and moving. While they give you a burst of energy, these hormones raise blood sugar levels. We can’t make any kind of energetic response if we don’t have fuel, and after a long night’s sleep, the fuel your body makes you get going is glucose stored in liver. So after these stress hormones are secreted, around 5:30 a.m., plasma glucose and, in a normal person, insulin start to rise. Though the normal person gets a rise in insulin to help cells use the morning glucose, people with diabetes don’t, so instead of giving their cells a dose of morning energy, all they get is a rise in blood sugar.People who are “morning people,” the ones who bounce out of bed filled with energy have a stronger growth hormone response. Those of us, no matter what our blood sugar status, who drag out of bed half dead and need three hours to get going may not be so. 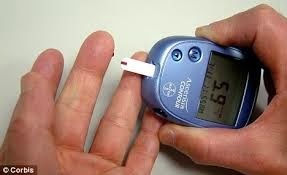 Some people with diabetes do not see a surge (spike) in their fasting blood sugar values. This rise is relatively slow and may be countered by what is left of their basal insulin production. Basal insulin is the amount of insulin required to properly manage the body functions. Eating 10 grams of carbs before bed eliminated the problem of low blood sugar values and saw a lower blood sugar the next morning. Same is possible by lowering the dinner dose of insulin. Research has shown that the trigger for dawn phenomenon is a nocturnal (nightly) shoot up in growth hormone. If the growth hormone is stopped, blood sugars stay flat. This may explain why some people, particularly older people, do not experience a rise in blood sugar first thing in the morning. They may no longer produce significant amounts of growth hormone. However, even people with normal or near normal blood sugars experience much higher blood sugars after eating a high carbohydrate breakfast. The reasons for this are not yet known, but may turn out to be a result of early morning changes in the liver caused by the dawn phenomenon hormones. Whatever the reason, you can expect to see higher blood sugars if you eat carbohydrates for breakfast than you will if you eat them later in the day, even if you are on medications. Dawn phenomenon is often related to “Somogyi Effect”. This effect is also known as a “counter-regulatory response.” It occurs when the blood sugar drops low enough to warn the body that something dangerous is going to happen. When this happens, the bodyreleases stress hormones to raise the blood sugar back to the safety zone. After this happens, the body becomes more insulin resistant for several hours afterwards. The usual cause for this kind of low is taking too much basal insulin at night, especially if you are a Type 2 who still produce a tiny bit of your own. This low happens between 3 AM and 4AM. A counter-regulatory response is a release of stress hormones which raise the blood sugar. It may also cause you to wake up suddenly after a bad, dreadful dream or with your heart pounding. By the time you wake up, your blood sugar has risen in response to the stress hormones. To see if a low is causing the blood sugar rebound you will have to test earlier, before the time you’d be woken up by the response. Just taking a bit too much of blood pressure medication can also cause your blood sugar to go up first thing in the morning. That is because if your blood pressure drops too low at night, the body will also secrete stress hormones to raise the blood pressure back into the safe zone, and they have the side effect, as we’ve seen, of raising blood sugar. 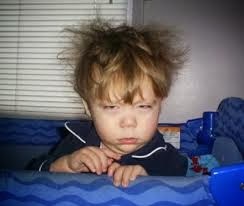 Some people wake up at 3 or 4 a.m. with your pulse pounding. We think this is because of a strange dream, but it is more likely that the nightmare was a response to the spike in stress hormones that raised your blood pressure. Blood pressure measured after waking indicates faster pulse. The blood pressure will be back in the normal, or even slightly high zone. Raising your medication due to elevated blood pressure first thing in the morning may make the situation worse! So talk to your doctor, don’t make any change yourself. You’ve lowered your carbohydrate intake, you are doing regular exercise and still the fasting blood sugar values are higher than normal. What does it mean? You have crossed that point and you can’t control your blood sugar with diet and exercise alone. A swiftly rising fasting blood sugar may be a sign that your beta (liver) cells are starting to fail. It is better to start medication at the earliest otherwise they will be lost for ever. Often, as you bring down your blood sugar by cutting down on your carbohydrates, your blood pressure will start dropping, too, even if you haven’t lost significant amounts of weight, so an adjustment will be needed. It is much harder to control your blood sugar when your cells are dead and your fasting blood sugar control is completely gone. So don’t wait until you are waking up with blood sugars of 180 mg/dl (10 mg/dl) to consider medication. Any time you can’t get near-normal fasting blood sugars with diet alone, it is time to consider medications. This is the crucial time to talk to your doctor about starting diabetes medications. 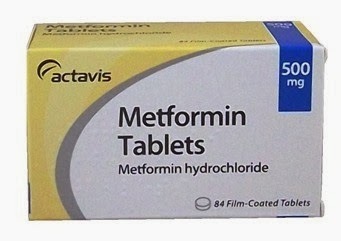 Metformin also can lower blood pressure naturally after you have taken it for several months..